Merry Christmas everyone!! 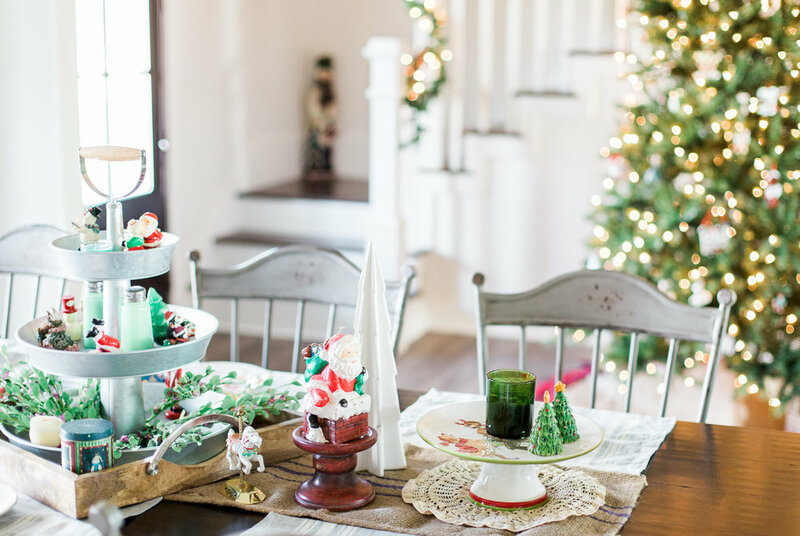 This is our first Christmas in our newly built farmhouse and it has been so magical getting to decorate this year!! When we designed this house I always pictured it at Christmas, and it has been everything that I dreamed of! 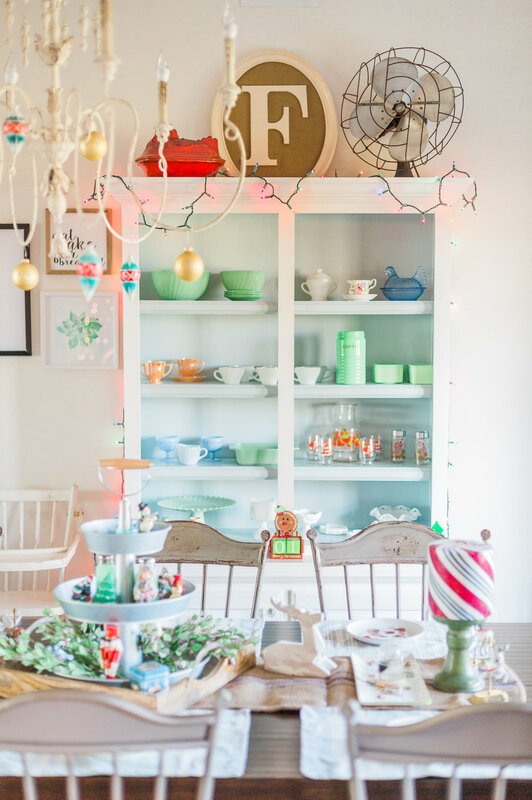 I thought there was no better way to kick off this blog than with a Christmas home tour for my first post! Tis the season! Our dining room has to be my favorite place this Christmas! 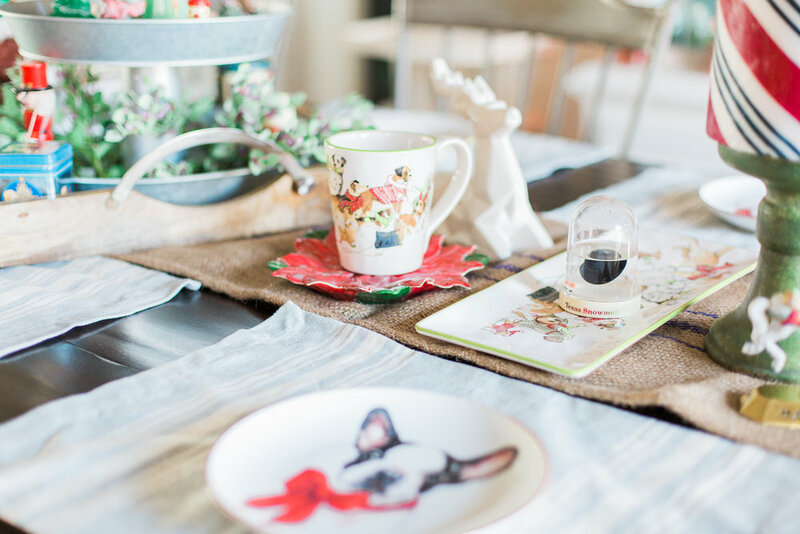 I just love the table covered in everything Christmas decor and most of the little knick knacks are handed down from my mom. Which makes it all that much more special to me! Right beside our dining room is our gorgeous 10ft tree! Yes, you heard me right! TEN FOOT! Going from a 6ft tree last year to our new tree this year has definietly made me feel the Christmas spirit! I just love starring at it all lit up at night from our sofa! Don't worry, our little tree still has its own place in our kitchen! Most of our Christmas Decorations are actually given to us by family members. Our tree is covered in vintage hallmark ornaments that came from Tyler's (my husband) grandma. She was just as obsessed with Christmas, if not more, than I am! Our house is filled with family heirlooms and pieces that have been handed down to us and I'm so happy that even some of our Christmas decorations are so meaningful to us! It is so special to us to have these pieces in our new home!